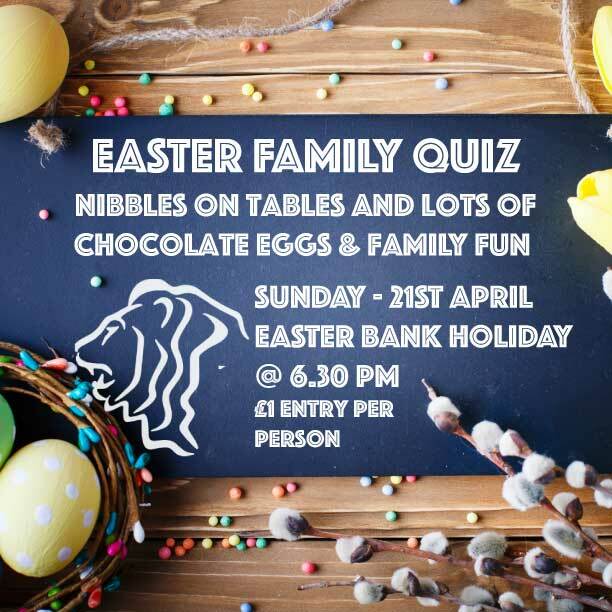 There will be nibbles on tables and lots of Chocolate Eggs and family fun evening!! Reserve your tables by contacting Lucy on 01296 651227 or via Facebook messenger. £1 entry per adult to cover the costs of Easter eggss for the kids.